CWPO – Children’s World Peace Organization – founded by William Day in 2012 was teaching thousands of children in Kenya, Nepal and Mexico about peaceful life skills and conflict resolution through dance, music, stories, and creative means – Go to CWPO.org for more information about the program. It was introduced for the first time in United States schools, to Fifth grade students in Rim Rock Arizona by Uma Ojeda, our daughter in the years 2014 and 2015. One of our favorite places so far is the Big Island of Hawaii – here is a photo I took of Mauna Kea Beach – one of the top ten beaches in the world – the water is usually calm and very turquoise! This is a favorite place to swim for two of our grandchildren. 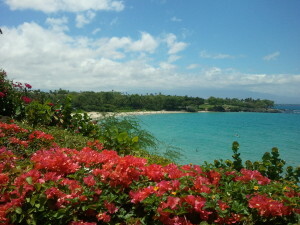 The particular view here is on the Mauna Kea Resort where Thomas loves playing tennis. 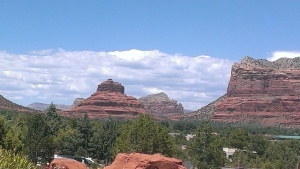 Red Rocks of Sedona, Arizona – People visit the area with its magnificent red rock formations and decide to move here! The vortex energy is strong in various places. It is definitely a magical place! I love how close it is to cold weather (skiing in Flagstaff) – one hour away by car or travel down to warmer climate to Phoenix – 2 hours away! There are plenty of hiking trails that show expansive views of the surrounding beauty. 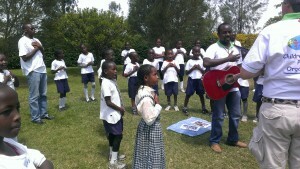 In May 2013 I had the privilege of going to Kenya. 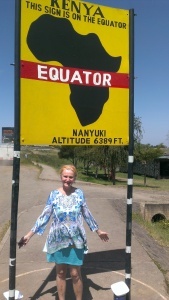 Here you see me in front of the Equator sign in Nanyuki, Kenya. Do you see that container on the lower right hand side of the photo? It shows water spinning in the opposite direction on one side of the equator as the other! I believe this is called the Coriolis effect. Water flows clockwise in Northern Hemisphere and counterclockwise in Southern Hemisphere – fascinating, huh? !